The Japan Rail Pass is an amazing product for people visiting Japan. The Japan Rail Pass can be used on all Japan Rail lines, the passes are also valid on the legendary high speed Shinkansen bullet trains, throughout the whole Japan Rail network. The Japan Rail Pass is valid for either a 7, 14 or 21 day period. Take in the spectacular scenery and experience Japan’s amazing Shinkansen “Bullet Trains” where you’ll travel high speed to some fantastic cities. The Japan Rail Pass offers great value! It’s an economical way to travel throughout Japan’s extensive rail network, considered to be one of the most efficient in the world. This includes travel aboard the world famous Shinkansen bullet trains. Limited expresses and local services. The Japan Rail Pass is offered by the six companies that make up the Japan Railways Group (JR Group), including JR Kyushu, JR Shikoku, JR West, JR Central, JR East and JR Hokkaido. The Japan Rail Pass can also be used for the Tokyo monorail. For more information on the Japan Rail Pass please see the Japan Rail Pass FAQS. Japanese nationals who can show they have residency abroad. “My Son lives in Japan, can I visit him and also purchase a JR Rail Pass for them?” The simply answer is No. When you enter Japan you have to enter as a “temporary visitor” status stamp on your passport. You will get that stamp if you put “tourism” or “business” on the landing card as a reason for visiting Japan, however you will not get the stamp if you are going into Japan to work or study. Children 6-11 years pay approximately half the adult fare. Child under 6 years of age travel free if not occupying a seat, and accompanied by an adult in possession of a Japan Rail Pass. Once a Japan Rail Pass is purchased, the customer will receive an Exchange Order Voucher by mail, which they will exchange in Japan for the actual Japan Rail Pass. These Stations have Japan Rail Pass exchange offices. (This must be done WITHIN 3 MONTHS from the date the Exchange Order Voucher was issued. At the time of exchange, the customer must specify the date that they want to start using the pass. It can be any date within one month from the date the actual Japan Rail Pass is received. You cannot buy a Japan Rail Pass in Japan. An Exchange Order Voucher must be purchased outside Japan, prior to your trip. Refunds: an unused Exchange Order Voucher can be returned for refund less a 25% administration fee within one year from date of issue. Once the Exchange Order Voucher has been exchanged for an actual Japan Rail Pass, it becomes 100% non-refundable. When travelling with a Japan Rail Pass, do not use an automatic ticket-reading gate with a Japan Rail Pass. Please show the Pass at a manned ticket gate. 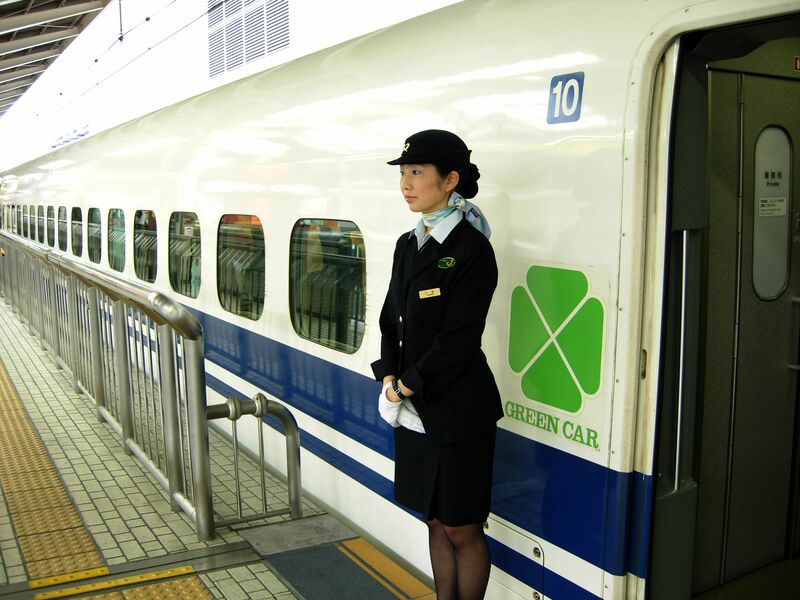 Seat reservations: Shinkansen bullet trains and most Limited Express and Ordinary Express trains have reserved Green Car seats (First class) and both reserved and non-reserved Ordinary Car seats (Standard class). For a non reserved seat, simply show your Japan Rail Pass to board. To make a seat reservation, visit any Travel Service Centre or reserved-seat ticket office called “Midori-no-madoguchi” at a Japan Railways station in Japan. Caution: Please note that during crowded periods you cannot be guaranteed a seat on a specific train. The Japan Rail Pass is also valid for the following buses: local lines of JR bus companies (JR Hokkaido Bus, JR Bus Tohoku, JR Bus Kanto, JR Tokai Bus, West Japan JR Bus, Chugoku JR Bus, JR Shikoku Bus, JR Kyushu Bus) and some of JR highway bus services (Sapporo-Otaru; Morioka-Hirosaki; Tokyo-Nagoya, Kyoto, Osaka,Tsukuba Center; Nagoya-Kyoto, Osaka; Osaka-Tsuyama, Kasai Flower Center), and ferry: the JR Miyajima ferry. – A complimentary Japan Rail Pass information guide. – Direct access to our UK customer service number for any questions you may have. The Japan Rail Pass is refundable if it has never been exchanged, A cancellation fee of 25% will be charged at the time of the refund. 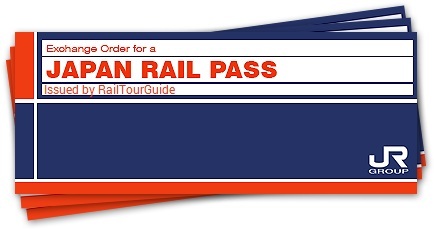 RailTourGuide provide these Japan Rail Passes to the trade and private customers alike. – We are authorised Agents for the Japan Tourist Board. – We will guarantee delivery, usually within a few days of booking. – Competitive prices which include delivery. – UK based friendly and knowledgeable company. – Secure online purchasing facility.